Nominal diameter: 1/2” ~ 20” Pressure rating: class 150 ~ class 900 Actuator: N/A Product Features: ①National utility model patent; ②-196℃ cryogenic treatment, no phase transformation and deformation on valve body and key components; ③Cryogenic action test and cryogenic test under -196℃, reliable sealing performance; ④Sichuan best product. 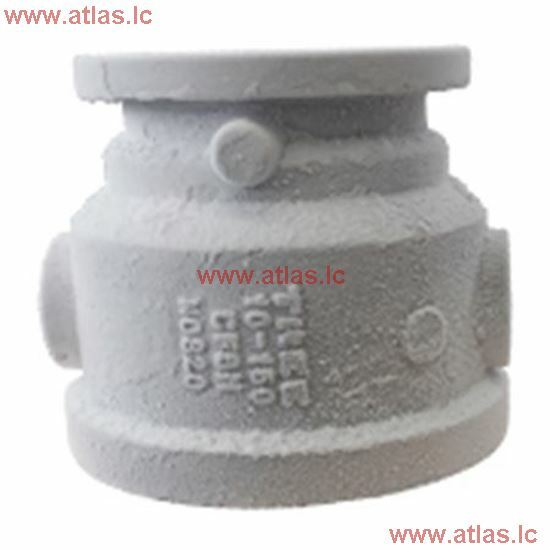 Besides the ordinary check valve function, this cryogenic check valve has excellent suitability, sealing performance and action performance in super low temperature conditions. It is a preferred solution for industrial applications where axial flow check valve operates under super low temperatures. 5. The products registered in Global Supplier Network of Sinopec Corp.